Never many product shots on this particular retailer’s site, but I like what I see of this Levi’s classic suede Varsity Jacket. I think that’s because the jacket goes for the ‘less is more’ principle, with little apart from the absolutely essential detailing in place here. 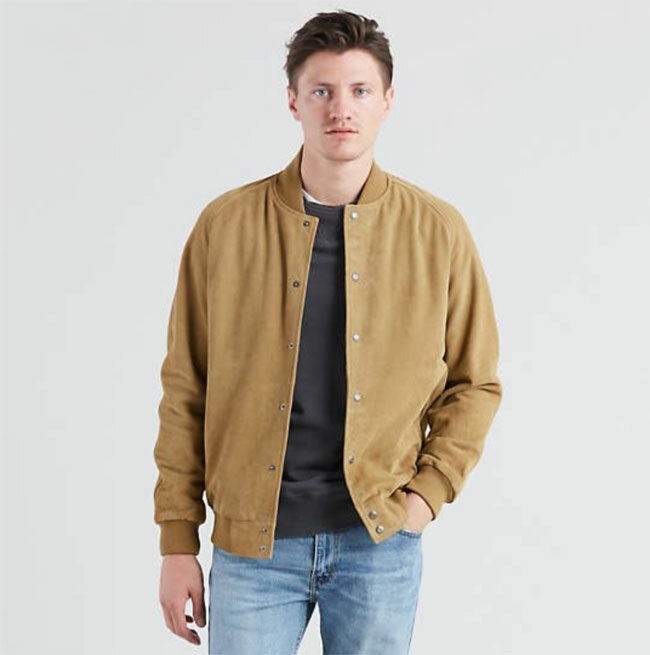 Of course, this is a suede bomber jacket (despite it being called a Varsity Jacket), with the suede in what’s described as a ‘harvest gold’ colour. It’s a solid piece, very much in the ivy league category or at the very least, something inspired by the mid-20th century. Outside of that, there’s thankfully no sign of a logo on the outside (pretty much always a plus unless a maker is known for it), a ribbed collar, as well as cuffs and hem and finally, press stud fastening for the front and hem. Suede means this isn’t cheap, but not being in the ‘Vintage’ range drops it down a peg or two. 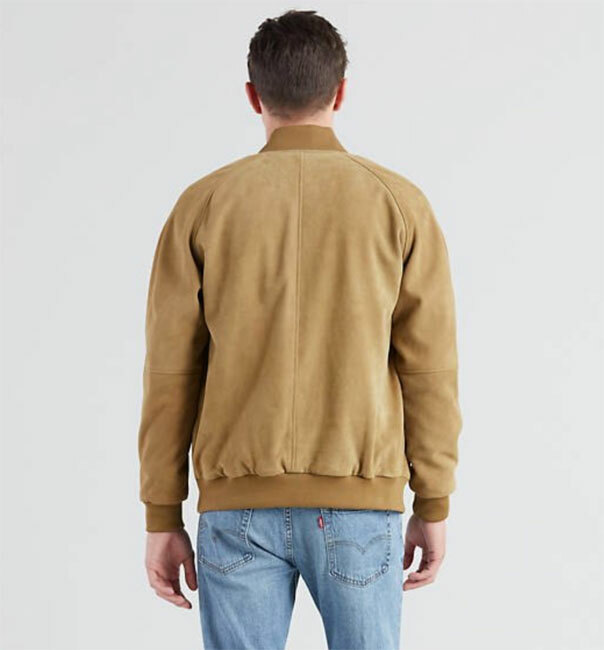 Still, you are looking £320 if you want this suede Varsity Jacket from Levi’s.